It’s fitting that this is Lag B’omer, the celebrated death anniversary of Rabbi Shimon Bar Yochai, for not only did he pass away on the 33rd day of the Omer period, but in his final speech (See Zohar Idra Zuta), he spoke about the 115th psalm. There are moments when science, religion and spirituality come together. There aren’t as many as there should be because everyone has his own entrenched beliefs. Nevertheless, this is one of those precious moments of harmony, when we can all be in awe, when we can all see and understand that the primordial underlying structure of the physical universe, that the Bible, which is the essence of religion, and that the structure of the spiritual world are all the same, and that this is in no way random. There is an innate structure to our universe no matter how chaotic it may feel to use, and stepping back we can understand that; after all, if there are a set of natural laws and a set of mathematical (physical) constants then no matter what scale things should look alike and follow the same patterns. But what about an ancient scroll 248 columns long? 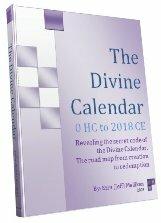 Should the letters, words, chapters, and verses on that 3330 year old document adhere to the same pattern? 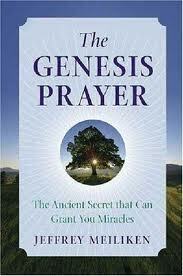 If it was written by G-d it might, or by the universe itself it might? But if it were written by man, could it? Maybe today it could, using computers and software, but 3330 years ago? And if it did, why was the number and date 5778 (2018 ce) singled out? Some of those answers can be found in the Torah portions read during the Omer in the portions surrounding Lag B’Omer. The Torah or 5 Books of Moses is comprised of several finite and very defined structural elements: the number of words in it, letters, verses, chapters, paragraphs. These haven’t changed in 3330 years, which in Biblical counting as we learn in this week’s portion, Bechukotai, is 66.6 jubilee years (50-year intervals). The wonderful things about having quantitative numbers verses qualitative words is that we don’t have to interpret them. The total 187 chapters in the Torah divided into the Phi (.61803399) proportion is exactly (187 x .61803399) = 115.566, and 5778, the year prophesied by the tzaddikim for the arrival of the geula (final redemption) in jubilee years (5778/50) is precisely 115.56. Moreover that 115th chapter is the chapter 25 of the Book of Leviticus, the first chapter in Torah portion Behar, and as it happens not only does Behar have 57 verses in it, but the very next portion (often read together by the way) is Bechukotai with 78 verses. Thus at the 115th chapter in the Torah we have 2 consecutive portions of 57 and 78 verses respectively, a nice allusion to 5778. As we explain in much greater depth in There’s Nothing Random About the Universe, the primordial mathematical constant that controls the natural shaping of spirals, from the stars in our galaxy, to the petals on our flowers, to the shape of our seashells and our Trees, and to the growth of our populations is called Phi. 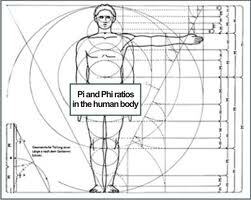 Phi is a specially balanced proportion that extends between the two parts of a segmented whole and then to the whole itself (ie the short length is to the longer one as the longer one is to the entire length). Nature naturally follows this proportion at all turns, and when art or architecture does too it gives us a beautiful sense of harmony, balance, and well-being. But Phi is not only integral to the existence of the universe but to the design of the Torah as well, as we’ll show below. 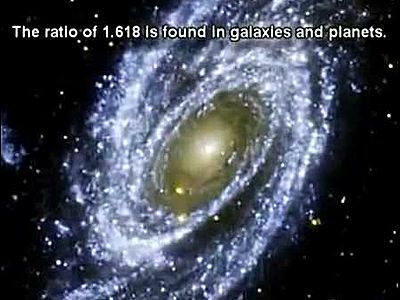 Moreover, as is covered extensively in There’s Nothing Random About the Universe it is uniquely connected to the number and thus the year 5778 as well. There are 5 Books in the Torah, all of varying length, number of chapters, words, letters, verses, etc. and it was written down by hand thousands of years ago, before anyone had ever heard of primordial mathematical constants, or calculators. So it is amazing that the Torah is actually divided into specific segments using the Phi proportion with the first chapter of the Book of Numbers (Bamidbar) being the dividing point in terms of letters, of words, of verses, and of all 3 together, that splits the Torah into two harmonic portions. So Lag B’Omer is the 33rd day of the Omer, and the 33rd portion of the Torah is Emor, the very portion where the number of words, letters and verses of the Torah is split into a proportion of .5778. In summary, the have the portion of Emor connected to Lag B’Omer, and to the .5778 proportion in terms of the number of words, letters and verses in the Torah. Then we have the next two portions in the Torah, Behar and Bechukotai, with 57 and 78 verses respectively as the final two potions in Leviticus, and with their connection to splitting the Torah’s 187 chapters into the exact Phi proportion (115.56) that equations to the number of jubilee years from Adam to Moshiach in 5778. And then in the very next portion, in fact the very next chapter, the first chapter in Numbers, we have the Torah split into the Phi proportion in terms of letters, verses and words. Now as explained in There’s Nothing Random About the Universe the connection between Phi and also Pi to 5778 is a profound one and Phi18 = 5778.000 precisely so maybe it’s more than coincidental that the gematria of Lag B’Omer is 358, that of Mashiach. Maybe there is a reason for all this. And maybe we should wake up and stop perusing dates from dead cultures and calendars and start looking at the Bible (Torah) for the answers and timing that was given to us exactly 66.6 jubilee years before 5778 at Mt Sinai and that was spelled out for us in terms that could only be readily understood by our generation, the first to use computers and analytical software. Thank you once again, Rabbi Shimon. We’ll resume our discussions and revelations about the Future Holy Temple shortly. 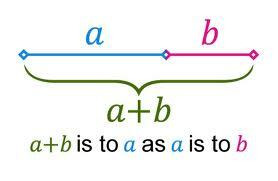 Here’s a couple more equations for those so inclined, or so skeptical. With 248 being the numerical value of Abraham and also of Mercy (Rachem) and also the number of columns in the Torah. We’ve proven repeatedly in The Genesis Prayer, in There’s Nothing Random in the Universe and in our articles the purposeful interweaving of Pi (3.1415926358…) in the construction of the Torah. Now we see that the primordial mathematical constant Phi (1.61803399) was likewise programmed in. At the end of the Book of Vayikra (Leviticus), just when we’re taught about the jubilee year, we reach a turning point not only in the Torah, but in the Tree-of-Life as well. An intricate and very important message to us was woven into the structure of the Torah. And only by taking a step back does it become readily apparent. The final two portions of this the 3rd Book, Behar and BeChukotai have 57 and 78 verses respectively, completing the upper 3 sefirot (dimensions) —Keter, Chochma and Binah—and splitting the Torah into two portion precisely along the Phi (Golden Mean) proportions. Followers of this blog know full well that Rav Ashlag and others have given us the year 5778 (2018 CE) as the time for the arrival of Moshiach (the Messiah) and the geula (the final redemtion), which ushers in the 3rd time we had the opportunity to achieve the Tree-of-life reality, so it’s not surprising that the Torah would once again be encoded to showcase that date. There’s no coincidence that we’re told to count jubilee years (50 years intervals) or that we’re told to do it in the 115th chapter in the Torah (Behar, 25:1-24). Previously, we’d been told to count 50 days from Pesach to the reception of the 10 Commandments (Tree-of-Life) on Shavuot. This is called the Omer period, but kabbalistically the sages have taught us that “days,” “months,” and “years” are synonymous and that counting 50 days is also a message to count 50 years. But the message isn’t just to count 50 year intervals, which were told to do explicitly in Behar anyway. But that we’re supposed to count a specific period, we which can extrapolate to mean from the exile in 2448 HC to the reception of the Tree-of-life, which if it occurs as foretold in 5778 HC, will be precisely 66.6 jubilee years. But it would also be the 115th jubilee year from the first time we had Tree-of-life consciousness back in the Garden of Eden with Adam. So are there hidden time codes hidden year? Of course. In an article we wrote about the famous “End of Days” prophecy of Daniel and Time, times, and half a time, we discussed the connection to the Torah’s odd wording in the Chayeh Sarah verse “Shanah, shanah, Shan’im” or “year, year, and years,” especially since Shanah can be regarded as “time” as well. To better understand this, we need to go to a place before time, where the primordial letter alef exists before the physical universe took shape. According to Abraham and his Sefer Yetzirah (The Book of Formation) in that place/empty space before Creation and before the Torah, the 3 Mothers (Alef, Shin, and Mem) came into existence. But first among them was the letter alef. Alef typically has the numerical value of 1 and is spelled, ELP, which has the numerical value of 111. Now the Tree-of-life is split into the 3 upper worlds, and Zeir Anpin, or the 6-world (dimension) ladder than takes us from our world (Malchut) to the upper ones. The Torah is akin to Zeir Anpin, this 6-dimensional channel, which is why 60% of the verses in it begin with the letter Vav (of numerical value 6) and why there are 6 letter Alefs in the Torah’s first verse, totaling 6, or 666 when spelled out. The place delineated by the final two chapters totaling 57-78 verses and that ultimately the splits the Torah into the precise Phi proportion as will be explained below also according to the sages, splits the Torah into the upper 3 sefirot and into Zeir Anpin with the start of the Book of Numbers (Bamidbar). So since the Israelites received and blew the 2nd Tree-of-life opportunity at Mt Sinai in the 50th jubilee year from Adam and the 1st opportunity, we now have the 3rd opportunity approaching after an additional 66.6 jubilee years, and 66.6 is not only very relevantly connected to the 6 letter Alefs of Creation and representative of the numerical and all-important kabbalistic fraction 2/3, but it is also 1/3 more 50 (i.e. 66.6/50 = 1.33). Interesting enough, the two portions whose verses total 57-78 and whose first and last verse contains the words “B’har Sinai (On Mount Sinai)” have 7 and 5 paragraphs between them, paragraphs 87-98 of Vayikra to be precise and the sum of 87 through 98 is 1110, or that of 10 letter Alefs (ELP). And in case we were to miss this, Behar is the 32nd portion in the Torah, as in the 32 Paths of Wisdom that make up The tree-of-Life and as in the value, 32, or the 4 component letters that physically make of the letter Alef (Yud-Vav-Vav-Yud). The Arizal further explains that Alef (ELP) can also be the word elef, meaning “one thousand (1000).” Now, if we substitute, as the Arizal did, the value 1000 for the value 1, the value of alef spelled out become 1110, which is 10 x 111, or Alef expanded to cover all 10 sefira (dimensions). So if you ever thought that the dividing up of the Torah into portions and paragraphs, etc was arbitrary, this should serve as a reminder of the depth of its encoding and technology. Moreover, “Shanah, shanah, Shan’im” also has the numerical value of 1110, and thus is spiritually connected to primordial time, to the beginning before Creation. We wont go into again here all the technology built into that portion from Chayah Sarah where it’s declared Sarah was 127 or from Daniel 12:7 or how they both connect to Moshiach and 5778, but we will explain that Alef (ELP) is also Eluf, or “chief” and thus 1110 also represents the 10 chiefs or heads of the sefirot in unison, which must occur in order for the Tree-of-life reality to manifest in our world. It should not be so surprising what is found at parsha Behar since Behar (BHR) has the same numerical value as “Light (Ohr)” and “secrets (Raz),” but the beautiful moment comes at the close of this 3rd Book, after the 57-78 sign, when in the first chapter of Bamidbar. As we explain in much greater depth in There’s Nothing Random About the Universe, the primordial mathematical constant that controls the natural shaping of spirals, from the stars in our galaxy, to the petals on our flowers, to the shape of our seashells and our Trees, and to the growth of our populations is called Phi. Phi is a specially balanced proportion that exists between the two parts of a segmented whole and then to the whole itself (i.e. the short length is to the longer one as the longer one is to the entire length). Nature naturally follows this proportion at all turns, and when art or architecture does too it gives us a beautiful sense of harmony, balance, and well-being. But Phi is not only integral to the existence of the universe, but to the design of the Torah as well, as we’ll show below. 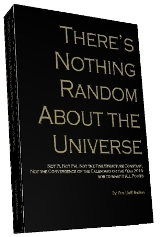 Moreover, as is covered extensively in There’s Nothing Random About the Universe it is uniquely connected to the number and thus the year 5778 as well. There are 5 Books in the Torah, all of varying length, number of chapters, words, letters, verses, etc. and it was written down by hand thousands of years ago, before anyone had ever heard of primordial mathematical constants, or calculators. So it is amazing that the Torah is actually divided into specific segments using the Phi proportion with the first chapter of Numbers (Bamidbar) being the dividing point in terms of the number of letters, words, and also verses, splitting the Torah into two harmonic portions. With 248 being the numerical value of Abraham and also of Mercy (Rachem), but also—and here is another clue—of Bamidbar (Numbers), where we find the Torah divided precisely into the Phi proportion. Now, we mentioned earlier that Behar began with the 115 chapter of the full 187 chapters in the Torah and that 5778 occurs in the 115th jubilee year, actually at 115.56 jubilee years from Adam and the first Tree-of-life reality we were offered. So how coincidental is it that 187/phi = 115.57236.. and that 115.57236 jubilee years (Biblical 50-year intervals) = 5778.618. Or that the last chapter in Bechukotai, the other half of the 57-78 portions, is the 117 chapter and 117/187 = .625 with 625 being the square root of 390,625, the collective number of words, letters, and verses in the Torah. There are moments when science, religion and spirituality come together. There aren’t as many as there should be because everyone has his own entrenched beliefs. Nevertheless, this is one of those precious moments of harmony, when we can all be in awe, when we can all see and understand that the primordial underlying structure of the physical universe is the same as that of the Bible and of the spiritual world as well, and that this is in no way random. Given all that we’ve seen, as the events of next few years unfold we need to pay close attention to the Torah, because nothing is random, and all has been foretold. The message is that the 3rd opportunity for the Tree-of-Life is upon us, whether we’ve chosen to prepare ourselves or not.